This paper focuses on and analyses the potential hydrological impacts of climate change on the hydrologic regime of the Kelani River basin, Sri Lanka. In this research, future basin-wide hydrology is simulated by using downscaled temperature and precipitation outputs from the Canadian Earth System Model, version 2 (CanESM2), and the Hydrologic Engineering Centre’s Hydrologic Modeling System (HEC-HMS). The research further evaluates the long-term behavior and trends of climate extremes based on observed historical temperature and precipitation data. The findings suggest that temperature and precipitation extremes are on the rise while the annual average precipitation in the basin is declining. It is also predicted with the application of statistical downscaling that temperature may rise annually for representative concentration pathways of RCP2.6, RCP4.5, and RCP8.5. A detailed modeling approach is applied to the Hanwella sub-watershed (1799.67 km2) of the Kelani River basin to study subsequent water resource management options required to ensure the sustainable development alternatives with varying streamflow in the Kelani River basin under the effects of future (2020s, 2050s, and 2080s) rainfall and temperature as impending climate change becomes manifested. This paper reviews the current state of the catchment as well as the suitability of applying GCMs rather than RCMs to Sri Lanka to assess this river basin, according to monthly, seasonal, and annual variations of the climatology. Further, a quantitative analysis of the change of amount of surface water in the selected river basin with respect to the expected variations in precipitation and temperature is also carried out. 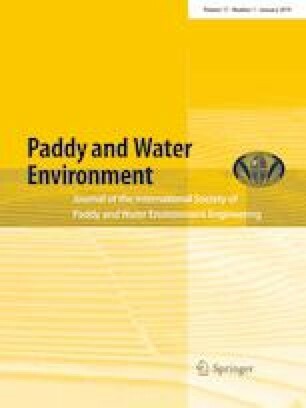 The findings of this research and overall outcome will be useful in identifying possible climate change impact on paddy and crop production, ensuing sustainable water management scenarios, best management options, and mitigation measures in land use, carbon emission management, etc., in a more meaningful manner in the future. This study will set the baseline for commencing and continuing quantitative studies incorporating the behavior of the basin-wide climatology and streamflow variability with the use of GCMs to achieve sustainable development goals.